The September budget experiment - Getting where? So, I mentioned earlier that I was going to use Trail Wallet to track all my spending in September to see how good I am at not spending more than I make. And I did that! I’m pretty sure I managed to track absolutely everything, even super minor expenses (60p for a chocolate bar at work, check). Before I throw the figures out there, I should say that I don’t think it would be smart for me to reveal my actual salary. I want to be as transparent as possible, but there are certain lines I don’t think I should cross . Just so you know, that’s not because I don’t believe it should be discussed (I do). That being said, I can reveal plenty of other things, so I’m not really trying to hide anything. I set my budget for the month at a level I thought I could achieve while leaving a fair amount of my income left to go towards my credit card bills. I have just over £1000 left to pay off for Africa, which I intend to clear by the end of the year. I also have a little I try to sock away each month towards my citizenship application so I can pay mostly in cash when I get around to it. Ok, so the budget I set was £1400. And I DID go over, but only by a bit. Because I felt the need to buy an £8 pair of tights on the last day of the month. 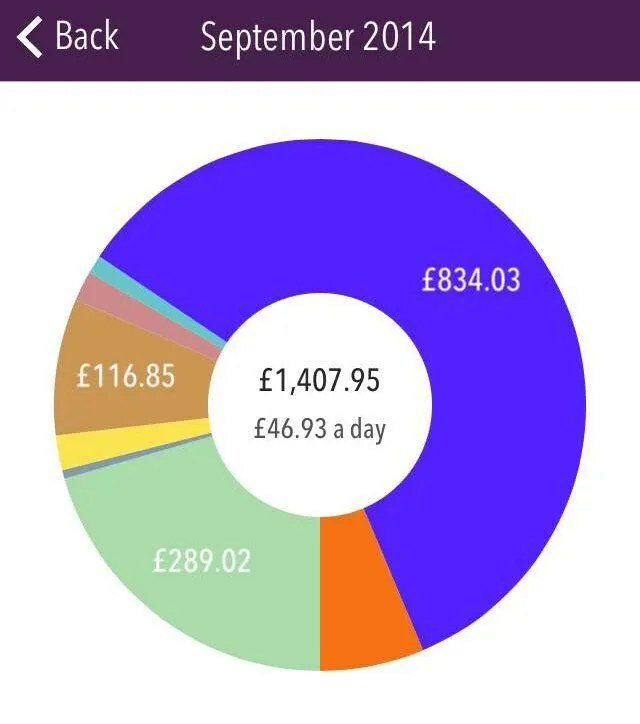 My total spend for the month was £1407.95. That’s an awful lot of bills. This covers all regular monthly expenses. Rent, phone, student loan payments, utilities, etc. This does include coffee, but I split out alcohol this time (below). I don’t have a car (yay!) so this is all public transport and taxis (which I never take). Books, films, pub quizzes and the like. Clothes, toiletries and that sort of thing. All in all, it’s not too bad. I’m kind of surprised I was able to stick so close to the budget, and I think I can probably do even better. Tracking every penny got tiresome, and I don’t think it’s something I’ll do again while not traveling, but I think it’s given me an accurate view of my normal, at-home spending. I didn’t let me budget stop me from acting as I normally would, because I wanted this to be a control, but I admit it did make me think harder about urges for a coffee or another beer. I only tracked outgoings I had during the actual month, so anything I paid for previously but used during September was considered a freebie (mTickets on my phone for the bus, a ticket to see David Mitchell, etc). I have cheated in ONE place, and that is that in the last two or three days of the month, I ordered some things to be sent to my parents’ house in the US. The charge is on my cars as the end of September, but I’ve excluded it from the official number because I think it counts as October. It doesn’t actually matter because I get paid in the middle of the month, not at the end, so this is all on the same paycheck and my exclusions for time are just arbitrary. In any case it’s £100 extra. I think I could probably cut my food spending. It breaks down to £9 per day, but I still feel like that’s more than it needs to be for a single lady trying to be less extravagant. My bills are cut down nearly as far as they can be, although when my contract is up on my mobile I should be able to hack off another £20 a month. But for everything else, I’m actually kind of surprised how little I spend. Even on drinks, which I was afraid was going to be way higher. 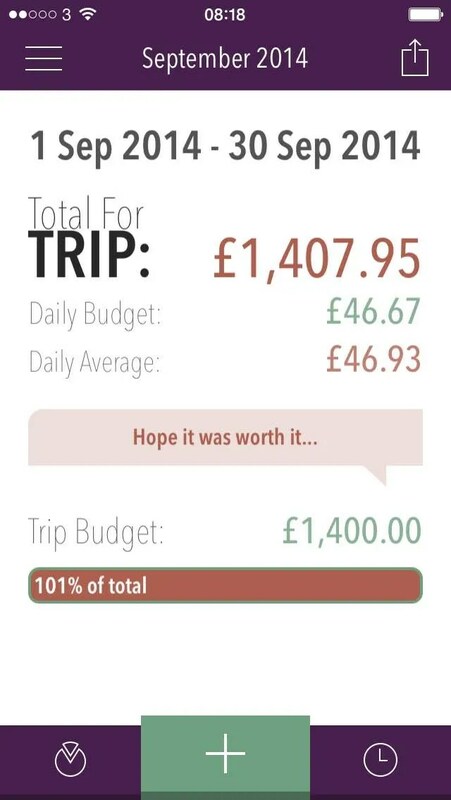 October’s going to be a bit spendy with my trip to the US, but I think after seeing this, I’m on track for paying off what I need to pay off by the end of the year. Then the real saving for the big trip can begin. Hooray!